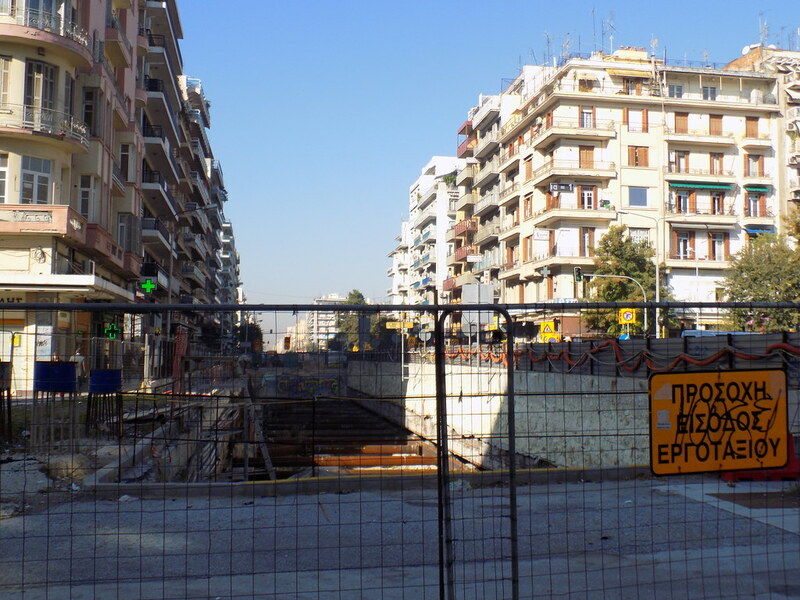 On my daily walk to University, I encounter on Egnatia Street what one day hopefully will be the Agia Sophia Subway Station. It is unfinished and the construction has been going on for several years now. 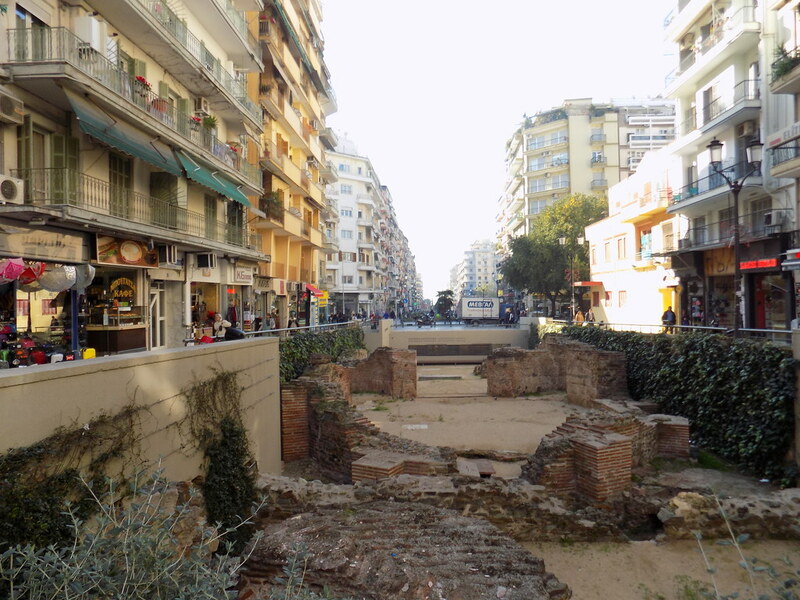 The subway would relieve the city’s congestion, but there are concerns about the treatment of the archeological findings around the city. The most important excavation in the city’s history is currently taking place, covering a massive 20,000 square meters. The balance between satisfying the needs of residents, developing a modern urban space, and preserving the rich cultural and historical heritage of the city remains contentious. 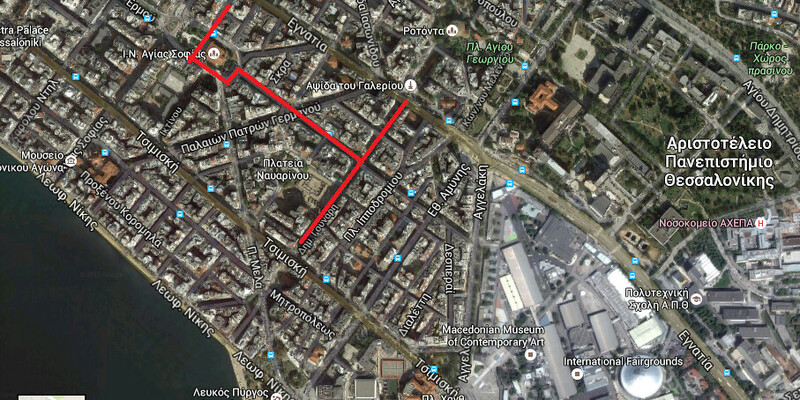 Moving eastwards I reach Alexandrou Svolou Street, and eventually Dimitriou Gounari Street. This has always been my personal favorite destination for walks, in addition to being a popular spot for the city’s students, tourists, and lovers of arts and culture. It is characterized by its relaxed ambience and multicultural feel. Several affordable coffee shops and small restaurants for take-away food can be found on this street. Navarinou Square is located in the pedestrian zone close by, and has over the years lent its name to the wider area. The nearby antiquities, and more specifically the Palace of Galerius, date back to the Roman era and represent the beautiful peculiarity of the area. 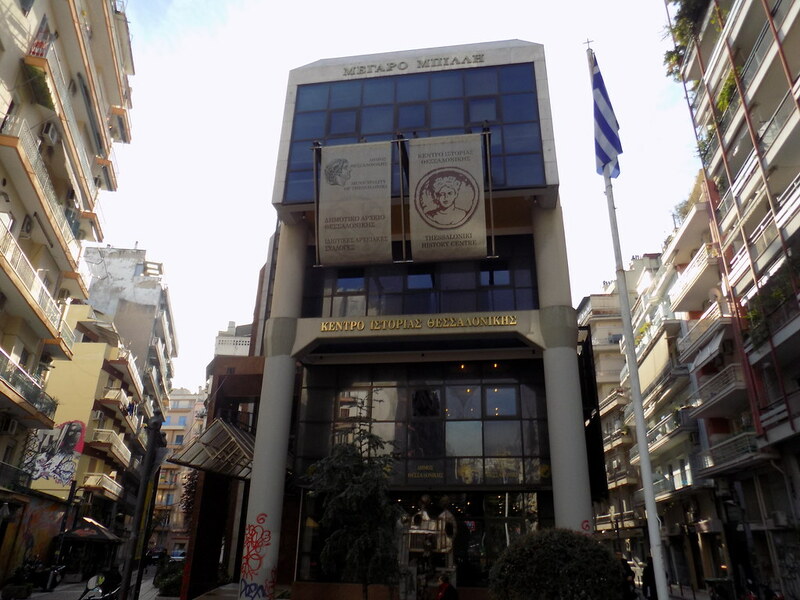 Nearby, I notice the Thessaloniki History Center. It was founded in 1983 and is built on the site where a block of flats collapsed after the massive earthquake in 1978. Architecturally it is a modern building standing out from the rest of the buildings in the street. It is managed by prominent figures of the city such as university professors, artists and authors among others. I realize I never attended an event there or took the opportunity to use the resources it offers. Several students at the nearby universities profit from the large volume of books in the library, and a quick google search reveals a rich program of conferences and year-long courses on philosophy and history that are scheduled to take place. This important cultural center and research institution is a symbol for changes and transitions; it acts as a historical point of reference while being a hub for new ideas and events that bring people from all strata of society together. Post, map and images by Eleni Myrtsioti, student of English Language and Literature, prospective teacher and an urban-exploration enthusiast with an unconditional love for the ruined and the abandoned.